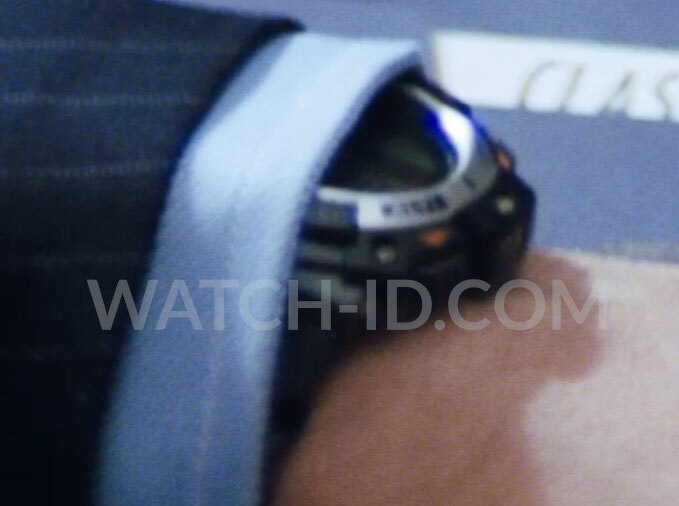 The watch can just be spotted in the image on the left, with the Altimeter button, aluminum bezel and orange triangles. 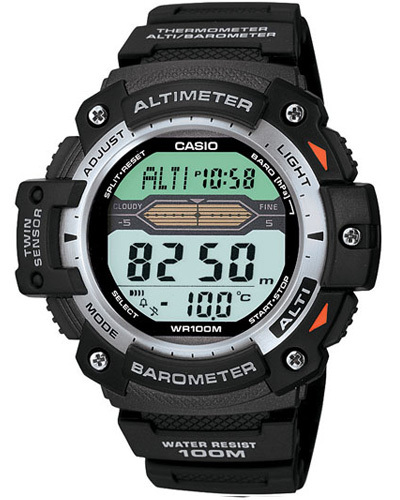 This large outdoor watch from Casio has Twin Sensor capabilities that measure temperature and altitude/air pressure. Measurement results are displayed graphically, which can be used to predict upcoming weather with reasonable accuracy. Large function buttons allow to one-push operation of illumination and altitude measurement. 100-meter water resistance and low-temperature resistance up to -10C/14F allow these models to be worn in the rain, around the water and just about everywhere else. Functions include World Time, stopwatch, 5 alarms and much more. An aluminum bezel and five screws provide a handsome look of quality. The Casio SGW300H-1AV is widely available. Get it online at Amazon.com, Amazon.co.uk or eBay.